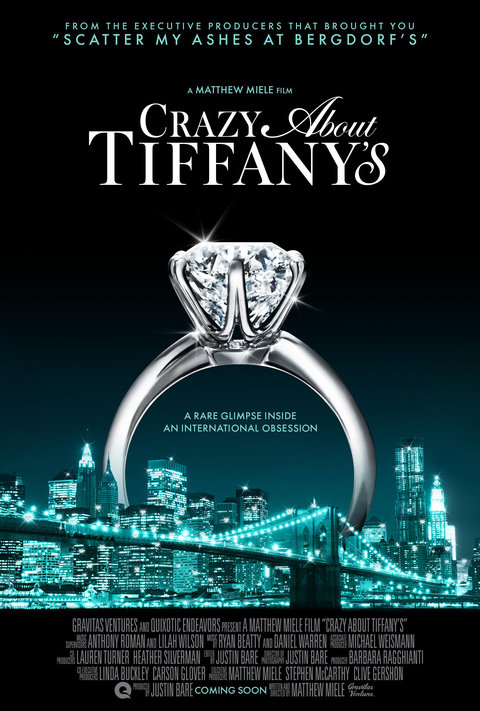 Crazy About Tiffany’s (2016) gives lovers of the brand a behind-the-scenes look at this iconic & globally-recognized jewellery giant. Personally, I know the first thing that comes to mind when I think of Tiffany & Co. is the little blue box with the white ribbon. And that colour. That famous colour, Tiffany Blue (Pantone #1837), is a closely guarded secret that Pantone had developed exclusively for Tiffany’s. And apparently it’s a very difficult colour to mix. Wondering what the significance of “1837” is? 1837 is when the company was founded. You’ll find out about this & more when watching the film. Throughout the film, stylists, fashion historians, celebrities, as well as a variety of Tiffany VPs, all weigh in on what has helped to make the New York based-brand endure for as long as it has (179 years to be exact! ), while looking back on some of their favourite Tiffany & Co. memories. One of the celebrities featured is actress Jessica Biel, who is seen trying to choose pieces to accessorize an outfit for an upcoming red carpet event! Celebrity collaborations are one way that the brand continues to maintain its brand recognition. And of course, who could forget Breakfast at Tiffany’s? The 1961 film, which I think really helped to make the brand a household name, is featured as well. What this film shows is that Tiffany & Co. is so much more than the little blue box (with the white ribbon). I had no idea that the company creates coveted trophies for major sporting events like the Super Bowl, the US Open Championships and more! Who knew? And the clock at Grand Central station in New York? That’s from Tiffany’s too. Like I said, it’s a behind-the-scenes look, which fans of the brand will love! Catch it now at the Bloor Hot Docs Cinema (506 Bloor St W, Toronto)! For viewing times click here.